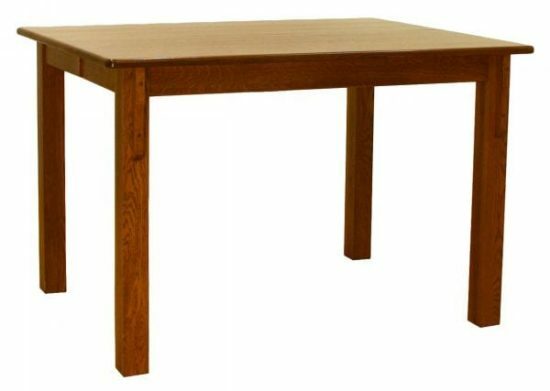 54″ x 42″ Liberty Mission Gathering Table shown in Quarter Sawn White Oak. Standard Features: #30 top, 3 1/2″ wide skirting, #110 edge, wood slides, 3″ Liberty Mission legs, 36″H pub legs (also available in 42″H). Options: Standard height legs, 12″ butterfly leaf (two leaf max), 18″ butterfly leaf (one leaf max). Available in sizes: 42″-48″W x 54″-60″L (6″ increments).